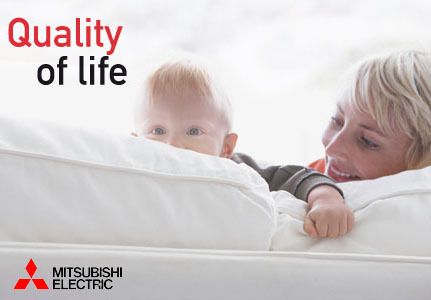 We supply quality Mitsubishi air-conditioners with world-leading reliability, quietness and energy efficiency, with proven performance in the tough Australian environment. Our range is quick to install and are among the quietest air conditioning units on the market (as low as 19dBA). Our newly designed, attractive range offers the perfect way to ensure a comfortable environment with the minimum of disruption. Surprisingly affordable, the efficiency of the our airconditioning units presents substantial savings in heating mode when compared with more conventional heating. We whether you are after a Split System for a single room or a Ducted for your whole house, Warren Ward Refrigeration and Mitsubishi Electric are the ideal combination to keep you comfortable all year around.